AMD has announced three new system-on-chip (SoC) processors for its embedded G-Series line-up, offering up to two Excavator or Jaguar cores and built-in Radeon graphics. 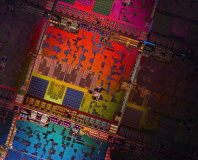 Designed for use in everything from industrial hardware to single-board computers (SBCs), and even seeing occasional adoption in low-power desktop and mobile devices, AMD's third-generation SoC parts are designed to be pin-compatible with the company's R-Series modules - meaning, in theory at least, companies don't need to redesign their devices in order to migrate to the new, lower-power parts. As for why they'd want to make the effort, the company's third generation chips offer a range of improvements over their predecessors. The new G-Series SoCs feature up to two Excavator x86 processing cores, up to four Graphics Core Next (GCN) compute units in the integrated Radeon graphics processor, support for 4K H.265 decode in hardware, display output over HDMI 2.0, DisplayPort 1.2 and Embedded DisplayPort 1.4, up to two DDR3 or DDR4 memory channels, and an integrated AMD Secure Processor. All models are also pledged to be produced and supported for a decade post-launch, an important factor in industrial markets, and will be available in thermal design profiles (TDPs) ranging from 6W to 15W. The new mainstream G-Series parts are joined by a G-Series LX family, which is based around the Jaguar microarchitecture. Supporting the same FT3b socket as the earlier Steppe Eagle parts, the chips will be available exclusively as dual-core designs with 6W to 15W TDPs. While only single-channel DDR3 memory access is supported, the LX family includes error checking and correction (ECC) support, and will include selected SKUs designed for extreme temperature ranges. 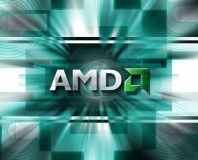 For AMD, industrial is an area in which it can shine: its embedded processors have typically offered higher overall compute performance than those of rival Intel for the same price and thermal envelope. 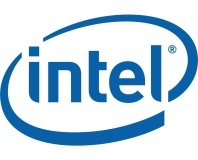 In recent years, however, Intel has been working on bolstering its embedded offerings with new low-power designs including the ultra-low-power Quark processor, while both companies struggle to compete with embedded market leader ARM and its multitudinous licensees.